New York Stock Exchange (NYSE)-listed mixed commercial REIT, Federal Realty Investment Trust, has signed a long-term lease for 301,000 square feet of office space at 700 Santana Row with data company Splunk Inc.
700 Santana Row is a 319,000-square foot, mixed-use commercial property with Class A office and retail spaces under construction at the intersection of Santana Row and Olsen Drive, in San Jose, California, USA. 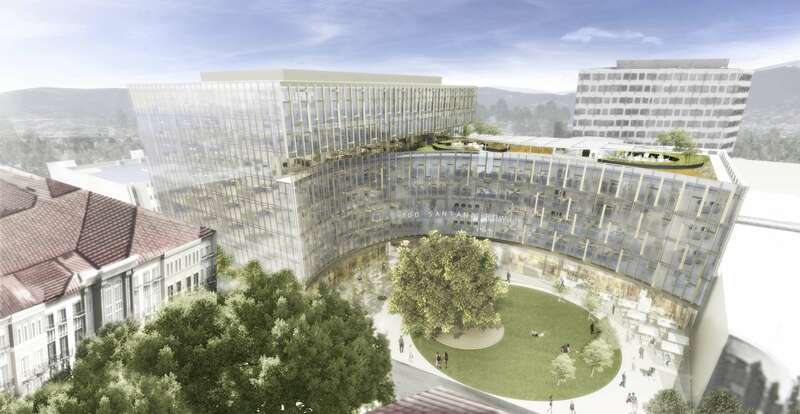 The property is scheduled to be delivered in 2019, and features seven levels of office spaces, above ground floor retail, and a parking garage with approximately 1,300 lots. To read the full article, please login or subscribe. REITsWeek is a sector-dedicated news and information website for REITs and listed real estate securities. Our mission is to deliver timely and accurate news, data and information on REITs and property trusts listed globally. REITsWeek is published by RSI Pte Ltd and is based in Singapore. Contact us here. While we strive to give the most accurate data and information available, the publisher of REITsWeek makes no warranties, expressed or implied, to anyone who uses this website including free and paying subscribers. Further, the publisher of REITsWeek does not warrant or make any representations concerning the accuracy, likely results, or reliability of the use of the materials on this website. Users are advised to check with the respective bourses and listed securities should there be a need need to verify any information. All content on www.reitsweek.com © RSI Pte Ltd.